The Siamese Cat – Beautiful, Chatty and Intelligent - Petpav - Your Online Magazine for All Things Pet! The Siamese cat is a beautiful, distinctive looking and an incredibly intelligent breed. The Siamese can be trained to perform commands and tricks and have proven to be extremely agile. 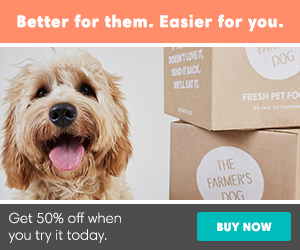 They can leap across your living room and into your lap and hearts. And if you like chatty cats, the Siamese is perfect for you! Do not get a Siamese if living with a chatty busybody would drive you insane. On the other hand, if you enjoy having someone to talk to throughout the day, the Siamese can be your best friend. Just be sure you have time to spend with this demanding and social cat. Siamese do not like being left alone for long periods, and if you work during the day it can be smart to get two of them so they can keep each other company. The Siamese is highly intelligent, agile, athletic, and loves to play. Keep his busy brain active with puzzle toys and his body exercised with teaser toys he can chase and a big cat tree he can climb. Never leave him without any form of entertainment, or you will likely come home to find that he has reprogrammed your DVR to record only nature shows or at the very least decided your toilet paper rolls and tissue boxes look better empty. Choose a Siamese if you look forward to spending time with and interacting with your cat. This is a loyal and loving feline who will pout and pine if given little or no attention. In the right home, however, he thrives for years. Siamese cats tend to be curious, affectionate and athletic. They love to be around their favorite people and tend to share your pillow at bedtime. They are know to be ‘tricksters’ and playful – batting water bottle caps around the house, amusing themselves at all times. They tend to follow their owners around and are very sociable. Pet owners with Siamese cats tell stories of how loveable these cats are and even win the hearts of non-cat lovers (as do most cool cats)! The Siamese cat can be very demanding as they become totally involved in their owner’s life. The Siamese are typically active and playful, even as adults. Siamese do not like to be ignored and want to be thecenterof attention. They regard themselves as people instead of cats. In fact, due to their intelligence and curiosity, it might be important to cat proof your home. They are known to open up cabinets and doors! 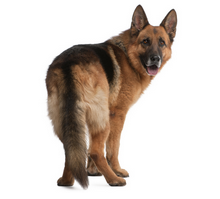 This breed began showing up in Europe and the United States by the late 1800s. The first known Siamese to reach American shores was a gift to First Lady Lucy Webb Hayes from the American consul in Bangkok in 1884. Siamese also enjoyed time in the White House during the Gerald Ford and Jimmy Carter presidencies. Today, the Siamese ranks fifth in popularity among all breeds. The Siamese have deep blue, almond-shaped eyes, a chiseled, wedge-shaped head, sleek, tubular body and large pointed ears. The body is muscular but delicate. The Siamese coat contains a mutated enzyme in its pigment that produces its cream colored torso offset by darker points at the ears, face, and toes. Most female Siamese cats weight between five and six pounds and males average between six and seven pounds. As they are slighter cats, they don’t need as much food and tend to eat less. However, the Siamese can be genetically predisposed to problems with gingivitis and a liver-destroying disease called amyloidosis. But, not to worry, just make sure you take your Siamese to the Vet for his regular visits. The Siamese have unusually large ears that are wide at the base, pointed at the tip, giving them the same triangular shape as the head. Medium-size almond-shaped eyes are always a deep vivid blue. The body is often described as tubular and is supported by long, slim legs, with the hind legs higher than the front legs. The Siamese walks on small, dainty, oval paws and swishes a long, thin tail that tapers to a fine point. The short, fine coat of the Siamese is easily cared for with weekly combing to remove dead hair and distribute skin oils. Brush the teeth to prevent periodontal disease. Daily dental hygiene is best, but weekly brushing is better than nothing. It’s a good idea to keep a Siamese as an indoor-only cat to protect him from diseases spread by other cats, attacks by dogs or coyotes, and the other dangers that face cats who go outdoors, such as being hit by a car. 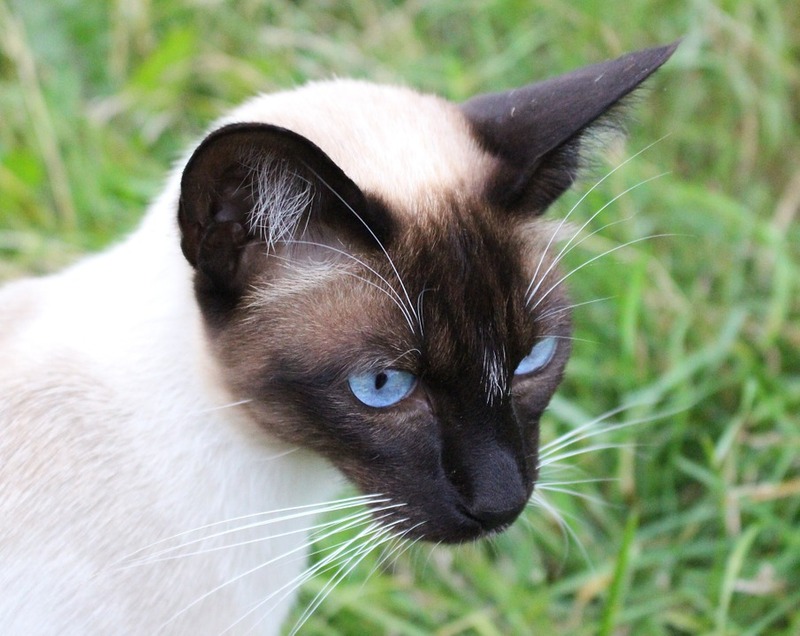 Siamese who go outdoors also run the risk of being stolen by someone who would like to have such a beautiful cat without paying for it. The active and social Siamese is a perfect choice for families with children and cat-friendly dogs. The Siamese will play fetch as well as any retriever, learns tricks easily and loves the attention he receives from children who treat him politely and with respect. We love all cats and the Siamese are a special breed of their own.